Are you connected, past or present, to the 150-year old ‘Ceylon Tea’ industry; or do you have a family/ancestry link to it? Do you possess any memorabilia associated with this rich and magnificent heritage? Chronicling and preserving the history of ‘Ceylon Tea’ is a collective effort and we encourage and welcome you to share your personal ‘history’ with us. Help build the profiles of your planter ancestors and their plantations, with historical photographs, letters, reports, anecdotes and so on. This is a remarkable legacy not just to a little island-nation, but to the entire world, where its fruit has reached and invigorated masses in every corner, of every society. 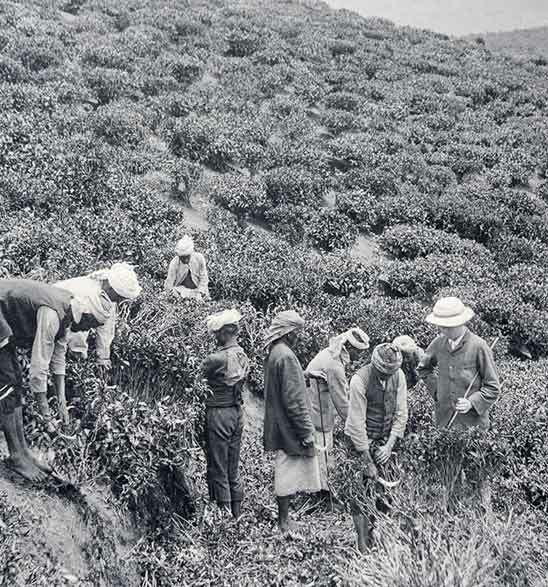 Please do Get Involved and submit your personal collection of history as a tribute to those that shaped, and continue to shape the ‘Ceylon Tea’ industry, and as an indelible legacy for future generations. This is an industry-service project and we regret that payment cannot be offered.